This vivacious Emerald and Diamond Tennis Bracelet will glitter on her wrist. 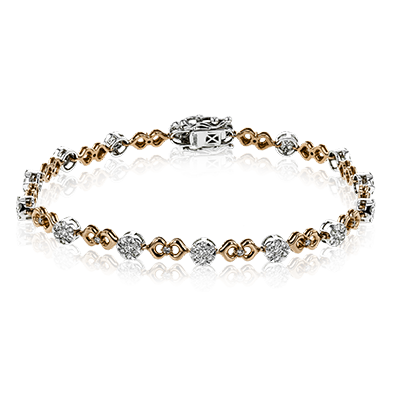 This beautiful bracelet crafted in lustrous 14 karat yellow gold showcases 22 dazzling prong set round cut diamonds and 11 alluring oval cut emerald that alternate between high-polish gold ‘X’ links. Fastens with a secure clasp. Total diamond weight is 1/4 Ctw and each emerald oval cut measures 6x4mm. To shop the latest in designer bridal jewelry visit South Mississippi’s jeweler, Pav & Broome Fine Jewelry today. Price: Call or visit Pav & Broome for price and availability.